It’s been said, Love is just a word until someone gives it meaning. Many of us have different meanings to love, because of our different experiences with love. For some love is to be guarded against, maybe even avoided due to painful experiences around love. Feeling betrayed, rejected or abandoned. Many learn to please others in hopes of love and acceptance, only to deplete themselves by giving so much, yet forgetting themselves. Some people act out a “crime of passion” toward a love gone wrong. Hurting the one they love or themselves, because love was denied. Others have even become ill, even died from a sad/broken heart, due to lost of a loved one. For others love means joy, passion, and sense of connection, so they’re eager to connect not just with people, but to the fullness of life. Love is one of the most powerful emotions. 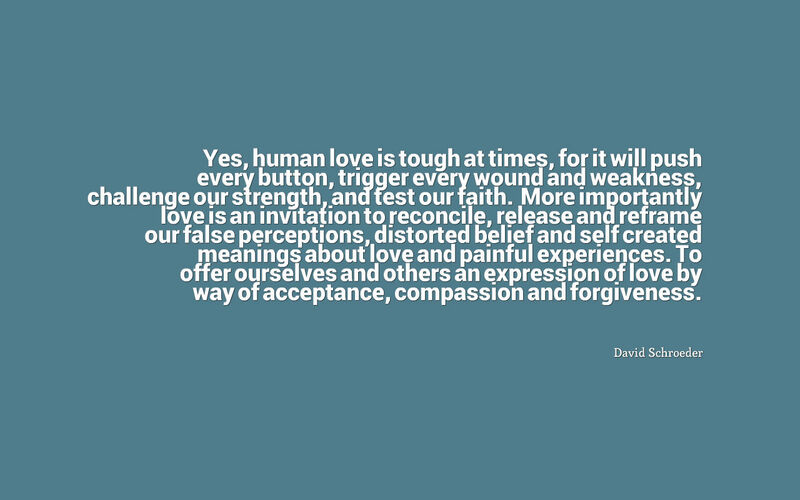 Yet, I believe love is more than an emotion. Its a state of consciousness. The higher our level of consciousness is with love, the greater our willingness and ability to offer love, support, nurturing and forgive an unloving act. Questions to consider: What does love mean to you? What meanings have you constructed about love? Do you have a belief and meaning about love that is including, accepting, supportive and offers freedom? Or is your belief and meaning about love, excluding, judgmental, and a barrier to love and be loved?